Adding protein to your diet can be difficult if you're a vegan, vegetarian or have certain food allergies but Healthy Veg Protein was made just for you. 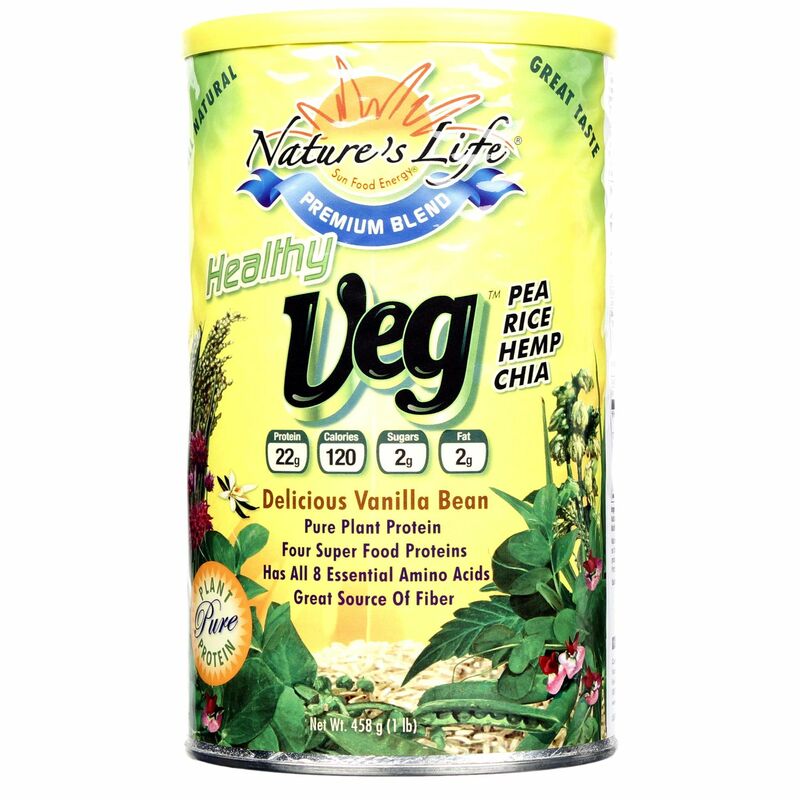 Each serving contains 22 grams of vegetable-source protein that's all natural and great tasting. Healthy Veg Protein is a great source of fiber and contains all eight essential amino acids. It's lactose, gluten, sugar, salt and soy free. Because it comes in powder form it dissolves easily into shakes, smoothies or drinks and it absorbs quickly in the body. 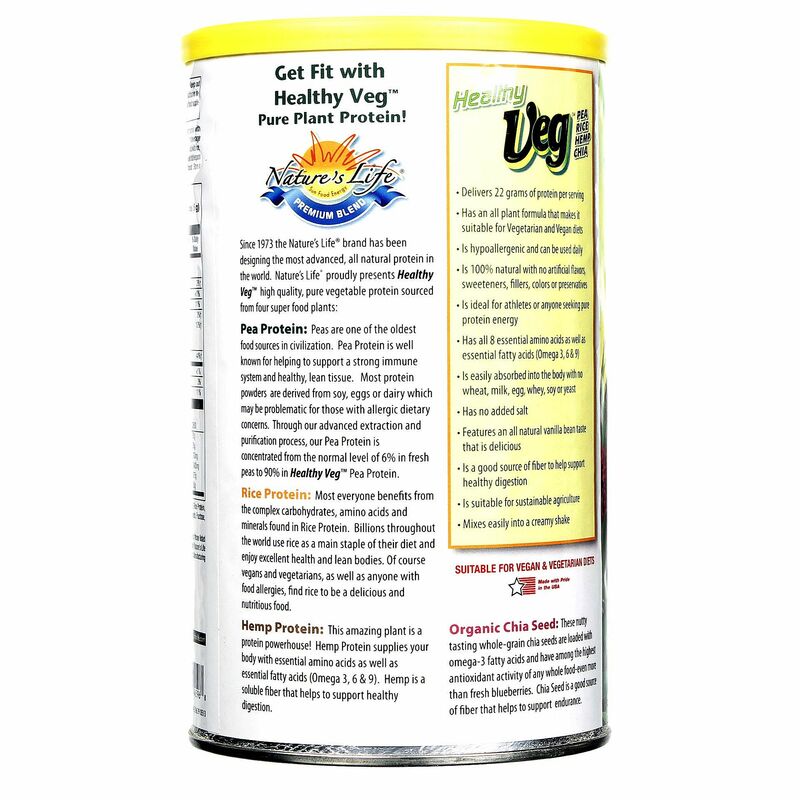 Healthy Veg Protein is ideal for vegans and vegetarians or anybody who wants to supplement their diet with protein. It's safe, effective pure plant protein at its finest. Notes: Suitable for vegan and vegetarian diets. Recommended Use: Mix 2 scoops or 5 tablespoons of Healthy Veg Protein with 8 ounces of water or your favorite beverage for a nutritious vanilla bean shake that is delicious and 100% natural! Store in a cool, dry place. 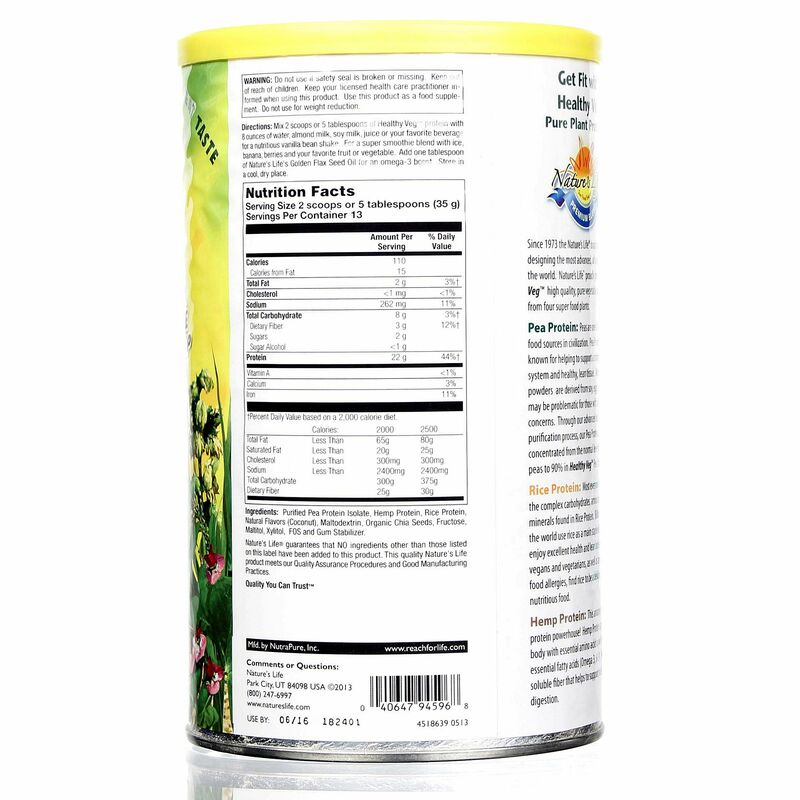 The customer reviews posted below are based on individual consumer experiences and may NOT necessarily represent what expected results will be from using or taking Nature's Life Healthy Veg Protein - 458 g. These results may not be typical and you should not necessarily expect to receive the same results. Actual results may vary.